At Midwives and Mothers, we offer regular pregnancy yoga classes to help mothers on their journey to motherhood. A regular practice has proven benefits of reducing stress, increasing vitality, improving fitness, and making the body both stronger and more flexible. Our yoga teachers at Kensington, Grace and Louise, are experienced teachers who have a deep understanding of both Yoga and of the many and varying pregnancy symptoms women may experience. They are passionate about supporting women on their journey through pregnancy and beyond. Here at MAMA, we feel very strongly about supporting mothers and babies after birth, so drop into a Mums and Bubs class to connect with other mothers and with a wide web of support. We offer a morning tea every Friday morning following the class, so even if you don’t feel you want to join a class that day, you are welcome to come with yoru baby and chat with others. 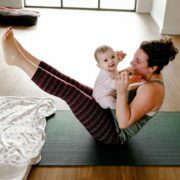 Our Mums & Bubs Yoga classes are held Fridays 10-11am at MAMA Kensington. These classes are open to everyone – singles, mums, dads – and the beauty of this class is that children are always welcome to come along. At MAMA, we understand family life, so we have created these child-friendly classes. Places are limited, so book now for these 5-class bock of yoga classes. 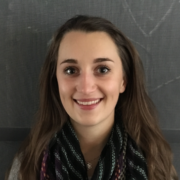 Our Hampton yoga teacher, Louise is a Registered Nurse, Registered Yoga Teacher and Doula. She will guide you through safe and effective movements for your pregnancy. You will learn more about yoru changing body and how to ease tension through asanas (postures), pranayama (breathing) and dyhana (meditation). This course has a maximum of 4 spaces so bookings are essential. Make sure to get your name down early. Contact our reception at 9376 7474 or admin@midwivesandmothers.com.au for more information about booking this course.